First and foremost, welcome to the field. This field is going to test you, but it is going to be amazingly rewarding. 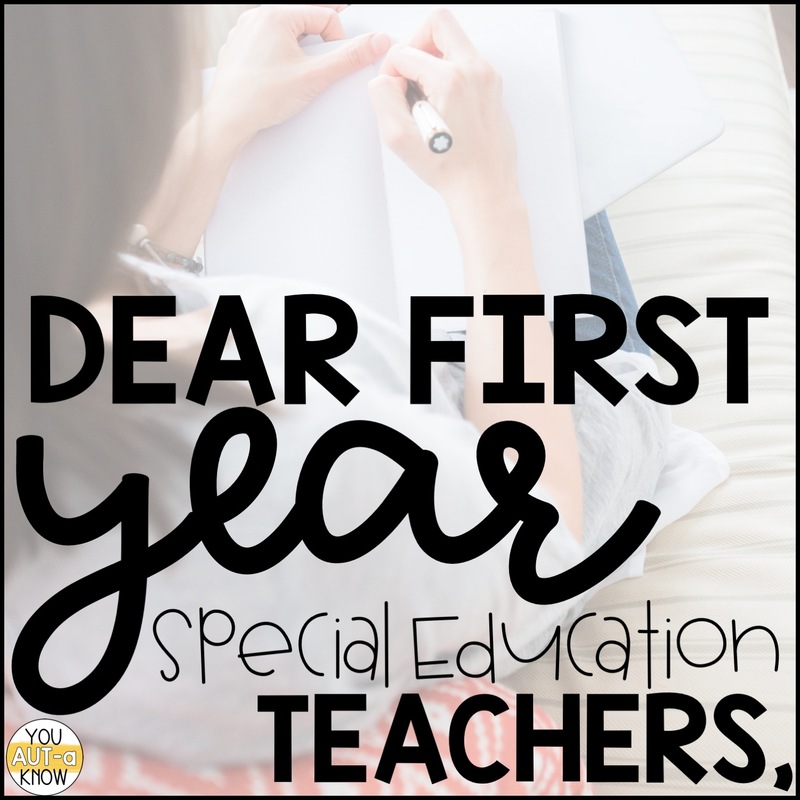 I am writing this so you have a realistic picture of teaching special education during your first year and you continue to serve our students for years to come. It's no secret that teaching is HARD. Teaching our students with diverse needs is especially difficult. For every breakthrough and triumph you celebrate with a student, you're going to experience meltdowns and adversity along the way, but let me tell you, it is SO worth it! I started my first year trying to do #allthethings at once. I'll tell you now that this was a big mistake. I was doing a lot of things ok when I could have been doing one or two things great. Take your time and apply the research you know to one teaching strategy first before starting to master another. We often don't ask our students to master every skill at once, why would we expect a teacher to do this? 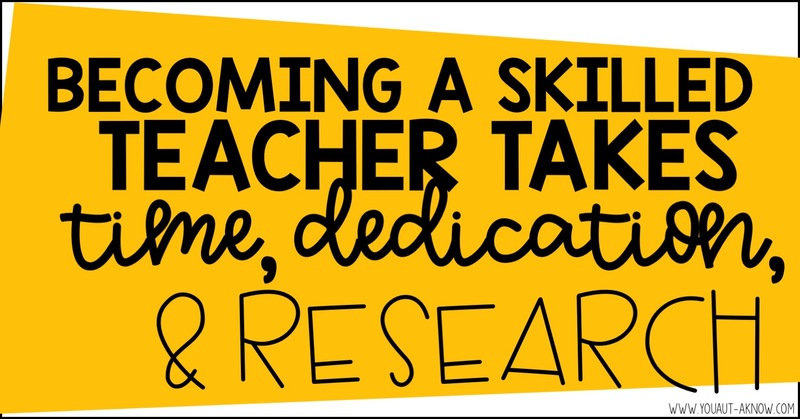 Take your time to research, implement, and reflect upon strategies and their use in your classroom. Make a note of what is working and what you'd like to follow up on. Whether it's in your school, district, or social media. 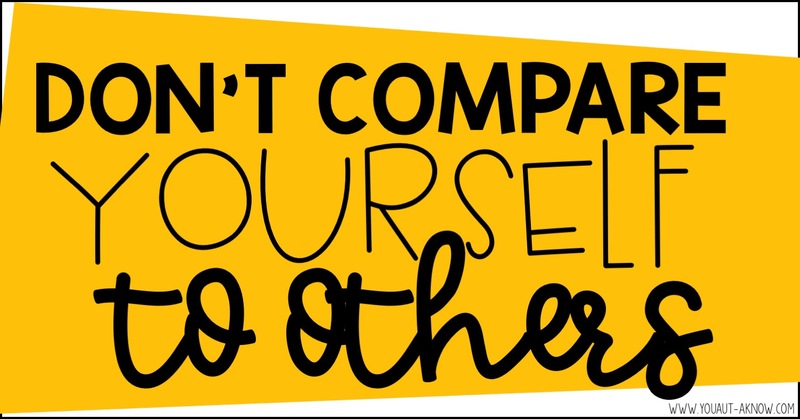 Don't compare yourself to other teachers. Often times these teachers have many years of experience behind their practices. You're definitely not getting the whole story, especially on social media. Like I said in the previous tip, take your time to master one teaching strategy at a time before moving on to another. It's all about progress and reflection in this career. Believe it or not, your school and district WANT you to succeed. They're not hiring you and hoping you're going to fail at all of your responsibilities. 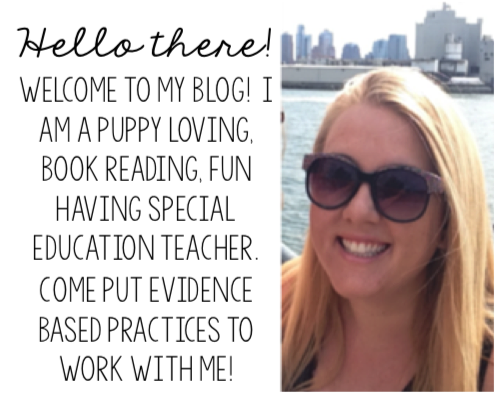 They hired YOU because you fit the vision of how they want to structure their special education program. 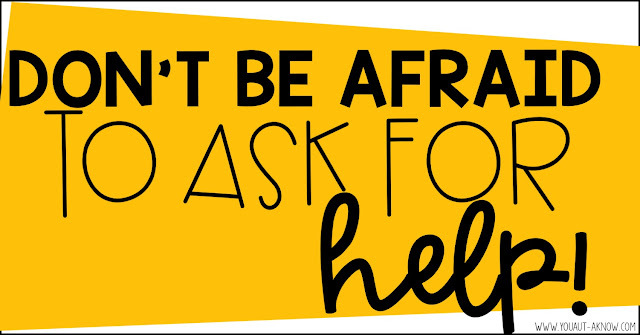 It's important to find a teacher, administrator, or colleague that you can go to when you have questions. I had a variety of people I went to during my first few years. There was a teacher on campus I would collaborate with for teaching strategies. I also had a program specialist I would contact with questions regarding paperwork. I even consulted with long time paraprofessionals about student behavior. Yes, we are in our classrooms alone more of the day, but we have a community of support around us. Reach out and you'll be surprised how much support you'll find! 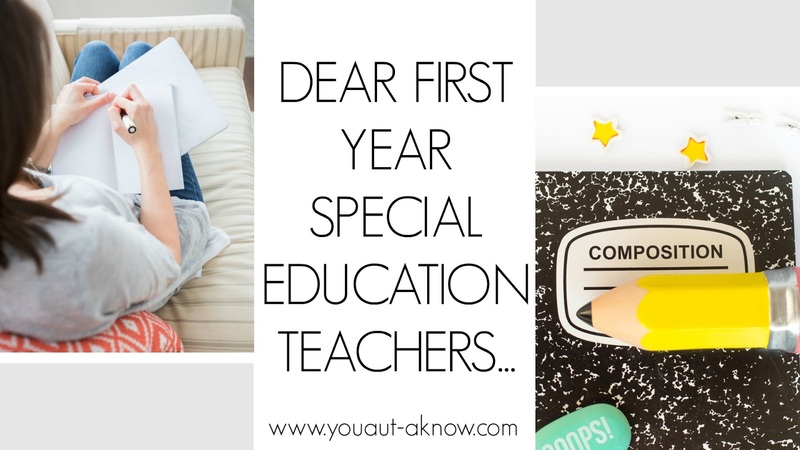 I know the demand to write IEPs, help students meet goals, and your other professional responsibilities can be overwhelming in the first few years. There are some things you're going to forget about during your first year. I remember completely forgetting about Special Education team meetings, induction meetings, and more until the day of. There are so many things happening during your first year or two of teaching that you're bout to get confused and a few things will slip through the cracks. Don't be too hard on yourself. So, first year teachers, remember that the most important part of any successful teaching career is building relationships. Build relationships with families, coworkers, and administrators. Don't be afraid of being yourself. Be sure to make time for yourself and your family or hobbies. It is important not to get too wrapped up in your job. 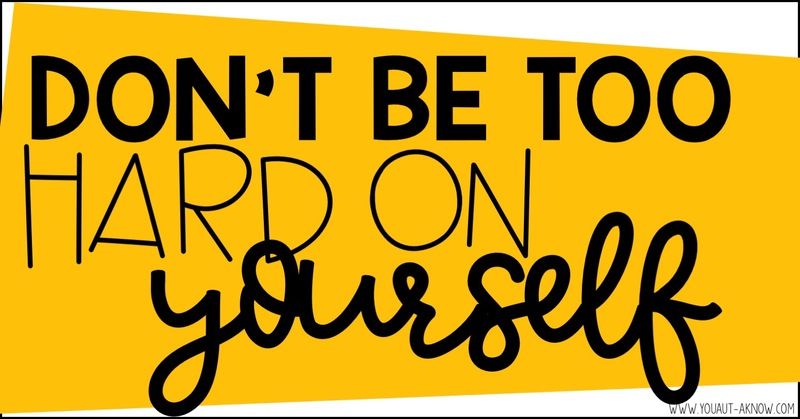 Remember that you have to have a life outside of the four walls of your classroom and balance that with your professional responsibilities and you will be off to a great start!